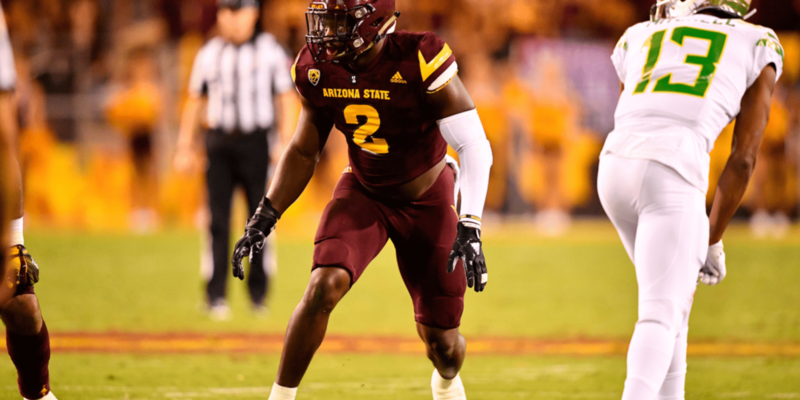 So for about a month, I have been continually raving about how New England will get an athletic, fast first-round linebacker in Rashaan Evans or Leighton Vander Esch. Well, it didn’t work out like that. 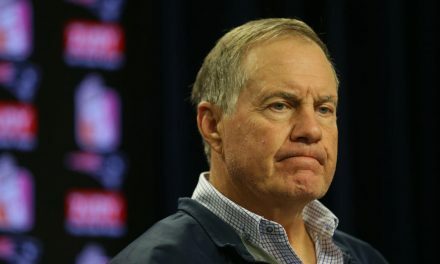 In fact, the Patriots did not draft a linebacker until the fifth round, where they took Ja’whaun Bentley and Christian Sam. Sam is referred to as the type of linebacker I have been wanting. Let’s get an understanding of how he really plays. Sam is very patient in run defense. He waits for the play to develop to get the best position on the runner to make the tackle. With his quickness, he uses a side-step move a lot to get past offensive linemen and tackle the runner. The side-step move doesn’t work every time. He tries it here with no luck. He gets taken out of play. The thing is that Sam isn’t great at taking on contact. His quickness and patience are his strengths in the run game. He puts his shoulder down here and tries to lead with power. The fullback consumes him with ease. Sam is fairly decent in the run game. He consistently makes tackles, as shown in the first clip against Oregon. His side step move is not consistent and can take him out of play. He also is helpless if a lineman can lock him or limit his movement. All that being said, he is a smart, instinctive, and dependable player. Although he is undersized, he still makes his presence known against the run. Sam is extremely gifted in coverage. He matches up with running backs well, as shown here. He takes away the quarterback’s check down option. This forces the quarterback to scramble and eventually get sacked. His football IQ and diagnosis are very high. He immediately recognizes the screen and tackles the back for a loss of yards. Sam is dropped into a zone coverage here. His reaction time is fast and therefore makes an excellent pass breakup. Open-field tackling is a thing of beauty right here. This is where Sam can bring the most help to the team. 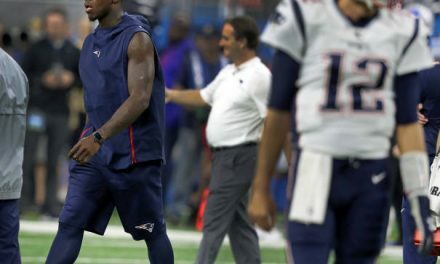 He matches up with well with running backs, which is something the Patriots had trouble with in the playoffs (Corey Clement and Corey Grant still haunt my nightmares). Sam has a high football IQ, is stellar in zone coverage, and is a sure-fire tackler. Thus, Christian Sam definitely has the potential to be an amazing linebacker. His cover skills are a dire necessity. He is most likely going to be a rotational player, but there is a chance he could overtake Elandon Roberts as starting middle linebacker. Although, the more likely prospect for that role is Marquis Flowers. 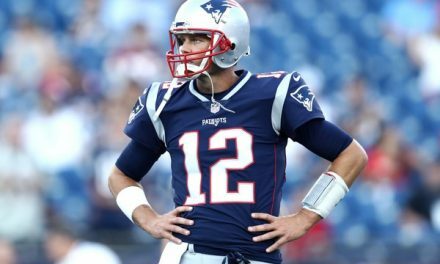 No matter what happens, expect to see Sam to still be wearing a Patriots uniform come September. Hopefully, you readers out there get a better understanding of the type of player Sam is. Is he the linebacker the Patriots need? Only time can tell. 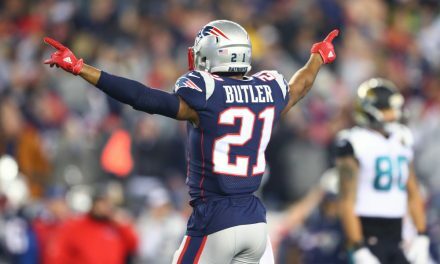 Can We Move on from Malcolm Butler?